Want to know the best ways to improve personal hygiene? Then you need to know about the link between personal hygiene and mental health. Bizarrely enough, mental hygiene is almost identical to personal hygiene. Both come down to unconscious actions. The primary cause of bad hygiene habits is unconscious movements, like putting your finger in your mouth. In other words, it’s the things you do without thought that lead to bad hygiene. The same is true for mental hygiene. It’s our automatic thoughts that make our minds impure. Surprisingly, research suggests meditation may be the best way to improve both personal hygiene and mental health, because it helps us to weed-out the unconscious movements that cause bad hygiene. You might remember that guy who asked you out while he had a booger lodge at the end of his nose. Or maybe you actually were that unfortunate booger-laden sap. Remember when your parents watched you brush your teeth, and how they went on and on about how important it is to develop good hygiene habits? Research shows they were right. There are considerable health problems that come from bad hygiene. Teeth decay because they haven’t been properly taken care of. Zits cover the face from a lack of cleanliness. 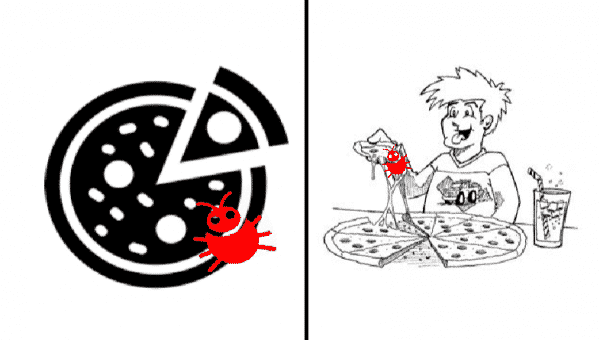 Worse, you put an unclean finger in your mouth and spread a nasty virus to your intestinal tract. Just take a look at the sheer number of health problems caused by bad hygiene. 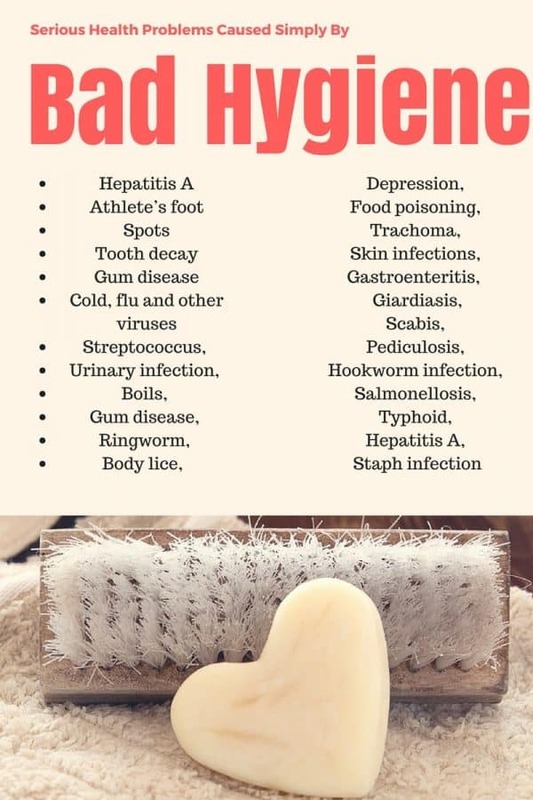 An alarming number of symptoms of bad hygiene. There are more than 30 serious health problems caused by bad hygiene. Seriously, wash your hands, guys! Not only is it important to have good hygiene for your body, it is also important to have good mental hygiene (mental health). Julie Hirsch is a leading authority on the subject of mental hygiene, and the author of the eye-opening and highly recommended book, Struck By Living: From Depression To Hope. Making sure you’re thinking positive. Taking progressive steps to reduce negative thought patterns. Checking you’re getting your mental nutrition, which includes things like having healthy levels of compassion, or even asking yourself whether you feel enough different types of happiness. The average person washes their hands more than ten times a day . But your mind is arguably far more important. And for that reason, every time you wash your hands, you should also take a moment to consider your mental hygiene. Turns out there is indeed a weird link between personal hygiene and mental health. We know from meditation and Ayurveda that there is a mind-body connection. The fastest way to a healthy body is to have a healthy mind. If you have bad hygiene either physically or mentally, you can probably blame your mind. One of the primary causes of bad hygiene (both mental and physical) is unconscious movements or thoughts. If you can’t stop putting your finger in your mouth, or you can’t stop thinking negative thoughts, the reason is entirely psychological. Then there’s the sheer amount of times we are oblivious to our surroundings. The other day I was making dinner when I cut into a cauliflower I had bought at Metro. I had used it the day before (to make cauliflower rice). And I must have been oblivious to it. Because this time when I looked at the cauliflower I found an entire swarm of tiny green maggots residing in it. Eating maggots? Not good hygiene. And entirely caused by a monetary lack of awareness. Then there’s the number of times you’ve accidentally touched a dirty… well, anything. You can say that cleaning up is the key to good hygiene. But the average person is in their own home for less than half the day . The majority of the time we are in public spaces or at work, where we have limited control over our surroundings. Cleanliness is not the key. The key is being aware of where you’re putting your hands. In other words, being more mindful. More on this in just a sec. Now consider the amount of unwanted thoughts that swarm in your mind like flies. Scientific research shows the average person thinks 70,000 thoughts per day. 56,000 of those thoughts contain negativity. Those negative thoughts are a chief cause of depression and anxiety. And scientific research shows that depression and anxiety are leading causes of bad personal hygiene . Cut the problem off at the source (the negative thoughts) and you cure the problem. Are we starting to impress on you the link between personal hygiene and mental health yet? So by now you realise there is a direct link between personal hygiene and mental health. People who have high levels of mindfulness also have good hygiene habits. (Which is possibly why so many models meditate). The key to stopping both bad mental hygiene and bad physical hygiene is to become more conscious of what is occurring in your mind and your body. The best way to stop bad hygiene habits is to simply be more aware of them. If we were aware of the fact that we just touched a table a bug was walking on and now we’re putting our fingers in our mouths, we would probably stop. If we were aware of the negative thoughts corrupting us every day, and the fact that they were taking a toll on our mental wellbeing, we would take progressive steps to start thinking positively. The key in both cases is simple: being aware of the bad habits we have. Because the moment we are aware of what we are doing, we are able to change those behaviors. We need to be more aware, more conscious. And the key to being more conscious is developing mindfulness. 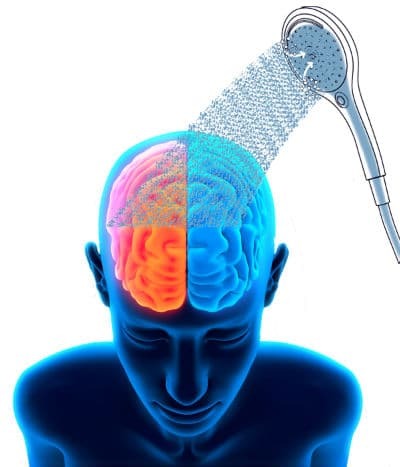 You want the best of both personal hygiene and mental health. And mindfulness is the key to getting there. Imagine the difference it would make if you could stop the unconscious movements and thoughts that create bad habits. Imagine not fiddling with your face and hair. Imagine not scratching. Imagine not thinking all those negative thoughts. Imagine no longer touching all those sources of dirt and bugs that get into your body. It’s possible. All it takes is an increase in awareness. In other words, it takes an increase in mindfulness. Mindfulness is the state of living in the present moment with complete awareness. When we are mindful we are aware of our thoughts, our movements, and our environment. Mindfulness makes us more aware of the sensations in the body. Importantly, we become consciously aware of bodily sensations before we unconsciously act on them. This is huge for hygiene. Normally, we are not aware of an itch until we start scratching it. Before we know it, we are scratching an itch, possibly with dirty hands, and thereby introducing impurities to the body, which can lead to health complications. Mindfulness makes us aware of those bodily sensations before we act on them. And this gives us the power to act in more healthy ways. One good hygiene tip, for instance, is to always wash your hands before touching your face. But if an itch causes you to start scratching unconsciously before you’ve washed your hands, then you’ve lost before you’re even aware of it. When you are mindful, however, you are aware, and that awareness gives you control of your actions, allowing you to swap bad hygiene habits for good ones. Mindfulness also improves your mental hygiene. So you end up with good personal hygiene and mental health. Interestingly, this works precisely the same as the above. We become aware of your thoughts before they have a negative effect on us. That allows us to be less reactive to thoughts and empower us to change those thoughts. As well as practicing the specific meditation technique called Mindfulness, we can also practice mindfulness habits that increase our awareness. These make us more aware, which in turn improves hygiene. Considerable scientific research proves that meditation is an effective natural way of improving hygiene. You may have read about the more than 100 benefits of mindfulness. However, until now no research has linked meditation to improved hygiene. Scientific research proves that meditation leads to better hygiene. One of the leading causes of bad hygiene is depression. Depression causes us to believe that we do not matter, and those feelings demotivate us, making us less likely to take care of ourselves. Another leading cause of bad hygiene is anxiety. Anxiety sufferers make more unconscious movements, such as scratching the body or fidgeting with their hair when they are nervous. These increase the rate at which impurities are transferred to the body. Conversely, confidence and self love lead to good hygiene habits. When we value ourselves we are more likely to take care of ourselves. Clinical research proves meditation increases confidence and self love and reduces anxiety and depression. 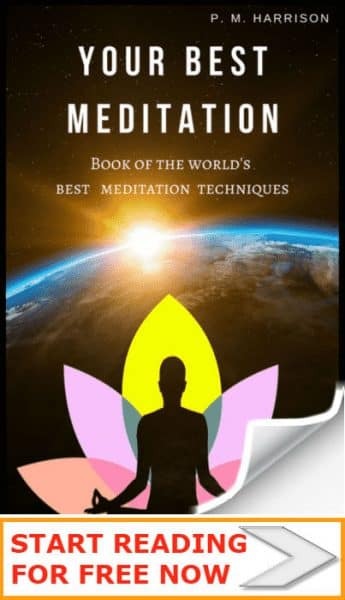 After reviewing more than 39 studies, it was concluded that Loving Kindness Meditation (a type of meditation in which we imagine extending love to people, including to ourselves) leads to a decrease in anxiety and depression and an increase in confidence and self love. Studies suggest that these mental traits lead to an increase in good hygiene habits because they make us value our mind and bodies more. Meditation has also been shown to improve sleep hygiene. Research was conducted in which 49 adults with sleep problems were given either mindfulness training or a traditional sleep hygiene program. The research shows us that focused attention meditation improves sleep quality and helps to reduce daytime fatigue. Just another area of hygiene that meditation helps with. F you would like to learn more about this, the ebook Welcome To Silence: A Practical Guide To Mindfulness And Meditation provides in-depth guides to mindfulness and other meditation techniques that can help to improve hygiene. Good hygiene is a state of mind. That’s true of mental hygiene and it’s true of personal hygiene too. The primary causes of bad hygiene are mental in nature. Depression. Anxiety. Or simply a lack of awareness. These are the main reasons for bad hygiene. And meditation helps with them all. 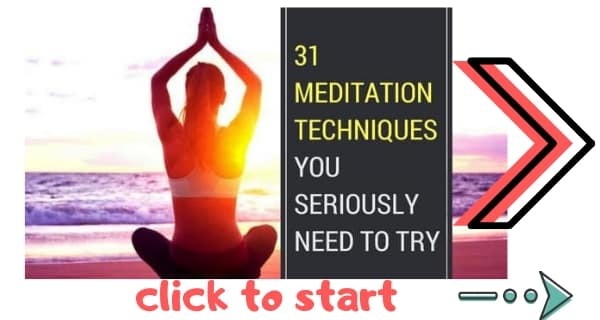 Meditation improves self love and confidence, decreases anxiety and depression, makes us value the mind and body more, and make us ore aware of our actions and our surroundings. And this all leads to good hygiene habits. For good hygiene, start from within.